Digital age innovations have changed every aspect of our daily lives, including many business processes. Now with rather easy access to Big data, global expansion and the potential to grow worldwide brand awareness, companies have a chance to globalize their businesses, opening the door to new customers and new markets. With new opportunities come new challenges which often arise from complex and even conflicting data; lack of experience with new technology; lack of knowledge of to how properly leverage new tools; and lack of resources needed to fully exploit international opportunities and etc. There are many development strategies to counter these problems and successfully expand internationally, unfortunately, they vary among different industries, cultures, and business models. This means there are no magic bullets that will work for every company all the time. This article provides readers with solutions on how to effectively answer all of these questions. It also highlights and explains key processes which should be in place prior to starting the international expansion. Use this article as a blueprint for how to build a successful international client acquisition strategy. Customer Acquisition Cost (CAC) is the average money spent in obtaining a customer. CAC can be calculated by dividing total acquisition spend by the number of customers acquired. In order to build a successful international brand it is imperative to know how much it costs to acquire a new client, whether a company plans to produce white label or build its own brand. Many early-stage companies struggle because they are ignorant to how much money they should spend on acquiring a new customer. Improperly calculated customer acquisition cost can lead businesses to spend more than they can afford on getting new clients. On the other hand, more often companies spend too little, then fail to gain—or they lose—market share to savvier competitors. The good news: companies can mitigate these risks by knowing their Customer Lifetime Value (CLV). Customer Lifetime Value (CLV) is a prediction of the net profit assigned to the entire future relationship with a customer. This value can be forecasted by measuring the relative value of company's current customers. Once businesses have calculated their CLV and CAC, these two metrics enable them to answer the vital question: How much money can and should be invested to acquire a new customer? This all-important question is answered by combining these two metrics to create the CLV:CAC ratio. For example: a company spends 10,000 euro on sales and marketing. The company acquires 3 new customers from this campaign. The average customer lifetime value is 100,000 euro. What is an Ideal CLV:CAC Ratio? There are certain rules of thumb one should be aware of when working with CLV and CAC ratio. If the ratio is close to or lower than 1:1, company is spending too much. At first glance, the ratio provided in the example above (30:1) might seem perfect. However, if customers have a high lifetime value to a company, then they have a high lifetime value to a company's competitors as well. So if the company does not invest effectively, then competitors that do will win these customers. Here is another rule one should consider, if CLV and CAC ratio is 5:1, company is spending too little. Actually, there is no magic number of a perfect CLV to CAC ratio. It varies widely depending on the industry, strategy, products and services offered; however, 3:1 is often considered as the recommended CLV:CAC ratio. So if a company's customer lifetime value is 100,000 euro, 33,333 euro should be invested to acquire a new customer. Manufacturers often target the biggest markets. In most of these cases they are wasting a lot of money, because the biggest market attracts the stiffest competition. This means companies have to invest more and more money in their sales and marketing to try to secure market share. In order to effectively use their customer acquisition budget, companies must accurately measure their own manufacturing capacity. Companies can precisely calculate the budget needed for the exploitation of unused production capacity and the resulting profits by utilizing the above measurements. The budget needed to exploit the unused production capacity can be calculated by multiplying the number of customers needed to reach full production capacity by its customer acquisition cost. When these metrics are calculated and companies are ready to take action to acquire new customers, more often than sometimes they face difficulties in pinpointing who are the customers with the most potential to buy now and bring the highest value. 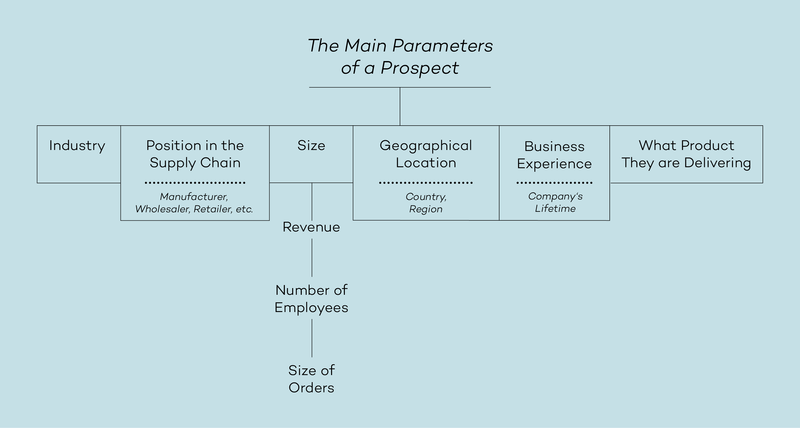 Generally speaking, the ideal customer profile depends on myriad parameters, including business scope, position in the supply chain, size, location, and so forth. Every single business will have different parameters, dependent upon its unique position in the market. Why is it so Important to Determine the Ideal Customer Profile? Defining a company's ideal customer profile helps to focus the company's sales and marketing resources on the prospects that are most likely to buy now. The ideal customer profile is also very beneficial when estimating reasonable market value and going after optimal future clients. As an example, let's take an in-depth look at one of the aspects: client size. Big clients are not automatically the best clients. For one, making a sale to a big client often requires much more time and money than selling to a small client. Additional resources might also be needed to satisfy the needs of a big client. It is easier to find bigger clients, but that means it is easier for a company's competitors as well, which leads to a higher customer acquisition cost. Also, big clients often specialize in standard production. So companies whose unique selling proposition involves customization are unlikely to be an attractive choice for big clients. Moreover, having several small clients gives a company the advantage of diversification. Relying on one big client can be disastrous if that client decides to leave, whereas the departure of one small client would not result in the loss of the company’s only revenue stream. It is often tempting to go after the bigger clients, thinking they will bring in more revenue. However, after considering advantages and disadvantages of big and small clients, it is easy to see how smaller clients can make a company grow faster—with fewer problems and less risk. It is important to determine as many parameters as possible when a company creates its ideal customer profile. If a company is targeting leads by only a few broad parameters, the list of potential clients and customers is colossal. It gives an unrealistic view of the company’s potential market that does not reflect the company’s actual potential to sell services or products. Furthermore, if a company’s product is for everyone, its product is for no one. It is virtually impossible to attempt to appeal to everyone in a massive market—unless you have ten figures to spend on customer acquisition—especially given how each market is now so thoroughly fragmented into smaller niches. Companies that follow the traditional “shotgun” approach—tend to lose out to competitors that have a more specific ideal customer profile. Companies that have defined a more accurate customer profile hold a distinct competitive edge. Knowing what type of customer benefits the most and wants what a company is selling, enables efficient deployment of a customer acquisition budget. Parameters listed below can help define the ideal customer profile. This list is not exhaustive; on the contrary, this is to establish a solid foundation. A company’s specific additional parameters will be dictated by its industry and competitive landscape. Why did the customer buy company's product/service? Why does the customer continue buying from the company? How did the customer find the company's product/service? Who are the customers clients? What main problems does company's customer have? How does company's customer search for a supplier? How does the customer find them? What does company's customer purchasing process look like? Who is the decision maker in the customer's firm? Once the ideal customer profile is clear, the company need to find the market with enough clients that meet the parameters of the ideal customer profile. When planning to expand internationally, a lot of business people have an intuition as to which market will be best for their companies. But these intuitions are not even close to being always right; based solely on gut, these data-ignorant decisions are a gamble. Speculation. Business should not be played like a roulette. It is better to conduct rigorous research and rely on the resulting facts. A company can achieve this by working with a market research firm or doing an audit in-house, if the company has the appropriate personnel. Accurately forecasting market potential allows companies to project how much they will receive from a particular market. Expansion into new markets is not easy, but if done strategically it is often worth it. The information in this article can guide companies that are planning international expansion. However, success depends on more than information alone. It also requires reliable data to formulate a feasible strategy. 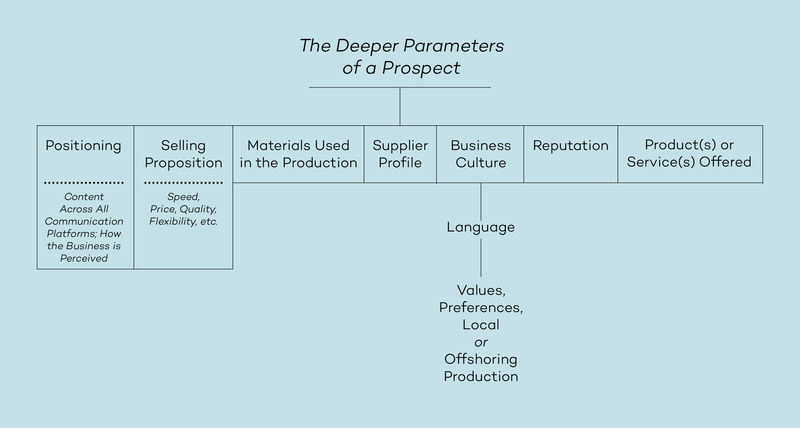 The methods in this article provide a way to help find a company’s ideal customer, how much money a company needs to invest in order to exploit unused manufacturing capacity, the ROI of that investment, and how to identify the best market. After the target customer, ideal location, and the budget are clear a company is ready to plan its acquisition strategy. This (among many other things) involves working on positioning, advertising channels, lead generation, sales process, and branding—if the company intends to sell products under its own label. If the company wants to white label its products, or needs help developing the right brand voice for a specific region, it is highly recommended to partner with knowledgeable professionals in these spheres. Ultimately, whether one particular company decides to expand to an international location depends on a lot of factors particular to that company. Companies that opt for international expansion will have a much higher probability of success if they develop a strong strategic customer acquisition strategy beforehand.